This afternoon, while I was lounging around a bit in SL on my day off, Ziki dropped me a LM to a new place she blogged about and which is very much worth a visit: 2304 RAIN. Anyway, 2304 Rain! A wonderful place, with……rain. Lots of it. Pouring down, visually and audible. Be sure to take your umbrella and wear wellies, you will need them! 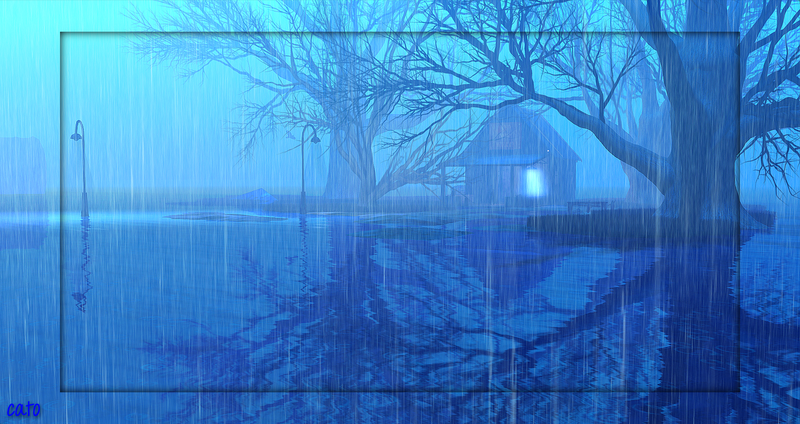 Rain is a joy for those who like to experiment with windlight settings and take pictures, you can create your own mood. Make it dark, do monochrome (like Ziki did, awesome pics!) or coloured.